The sun is shining, there are no clouds in the sky and the birds are chirping - Everything is perfect. Now you want to enjoy this idyllic moment and just lay down for a while but where? 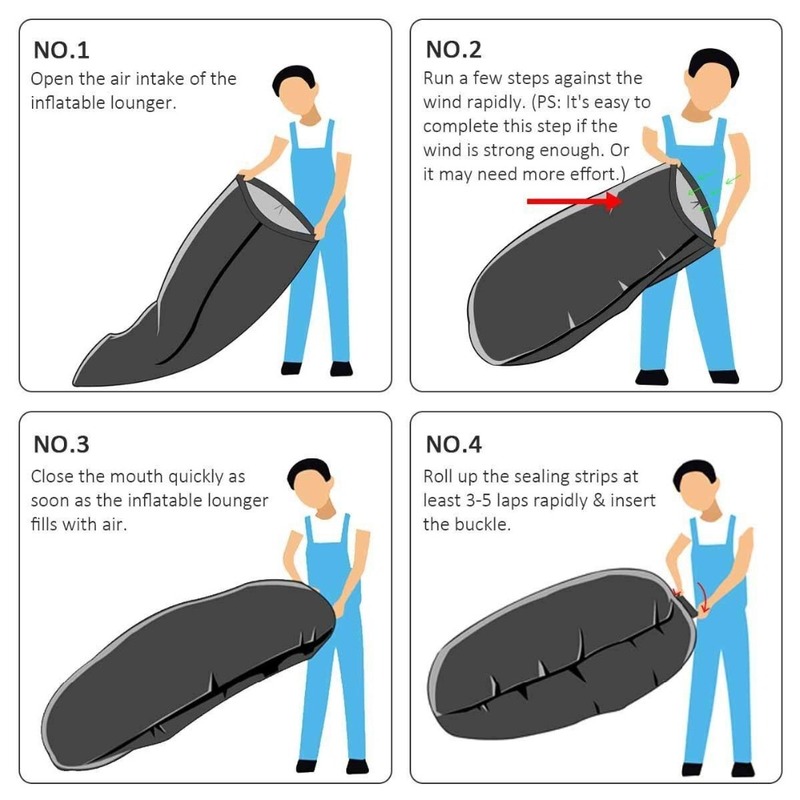 This is where our Inflatable Sofa will solve all your problems! In other words: Everything you need! This will be THE big hit for your Summer 2019. You can take it everywhere you go and assemble it right on the spot. And the best part: Assembly is actually quite fun! It doesn't matter if you're hanging out with your friends or if you're just enjoying some time alone in your garden, EVERYBODY will want one, too! Choose the colour and design of your favour and make your summer something to remember!